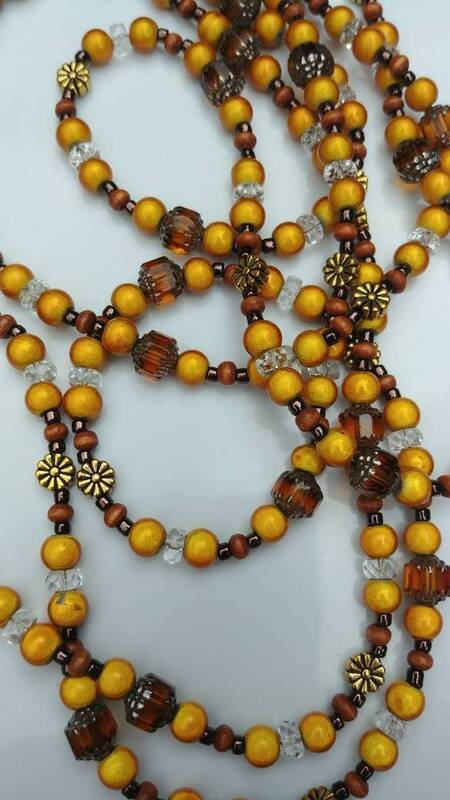 Shades of gold, brown and honey fall together to make this necklace creation. 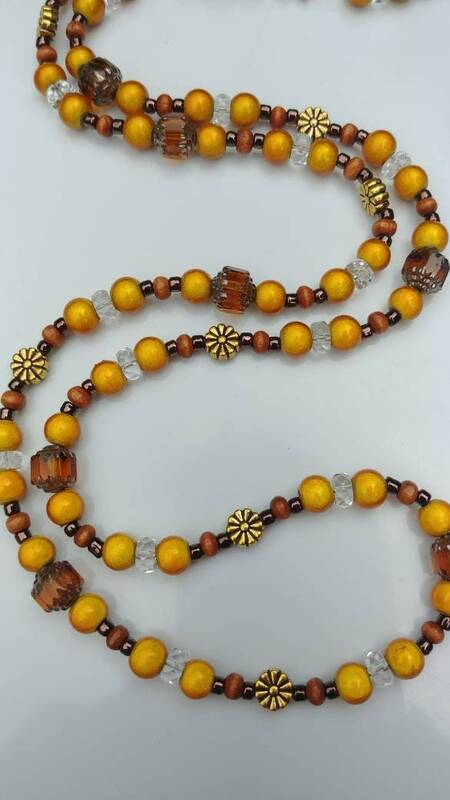 Elegant, trendy, and fun - this necklace is available in two lengths, so you can pick the one that's perfect for you. It comes in 30 and 40 inch approximate lengths. "Autumn Wheat" has a large toggle clasp that makes getting it on and off so easy! 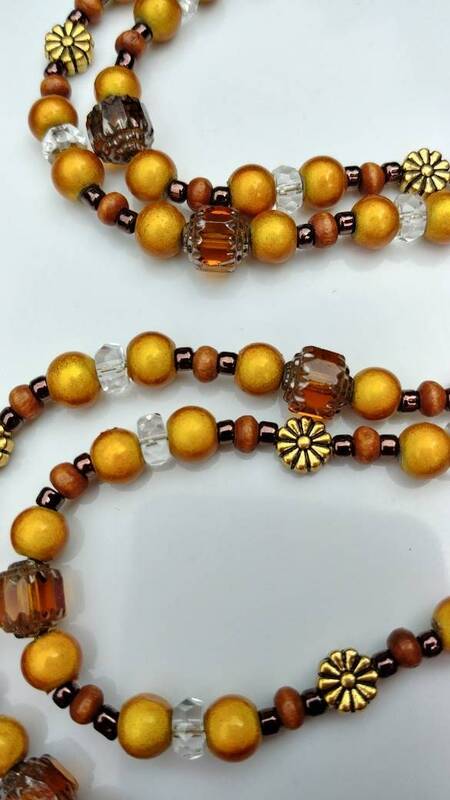 Wonder Beads, fire-polished glass beads, pewter beads, and Swarovski bright gold crystals all included in this necklace.